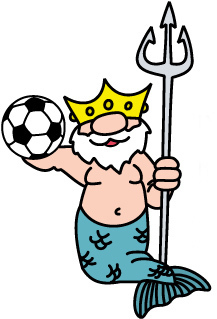 The MDCVSA Neptune Soccer Classic is an adult soccer tournament open to Men's, Women's and Coed teams. Recreational to Premier level competitions will be offered in different age brackets. Games will be played at the Hampton Roads Soccer Complex, a beautiful 19-field soccer facility in Virginia Beach. Teams are guaranteed at least 3 matches. Click here for official tournament rules, entry costs, procedures and other information. The Adult Soccer Fest, presented by US Adult Soccer, offers opportunities for players of all ages and abilities to get back on the pitch. A week built around soccer, food and beer, the Adult Soccer Fest is the largest sanctioned adult soccer event in the United States. Born as the Veterans Cup back in 1998, this event was created with the intention of providing high-level soccer to both men and women, whatever their age. Rivalries on the field have led to friendships off and helped turn this event into a week of competition and celebration for over 3,000 players, family members and supporters. Adult Soccer Fest offers divisions tailored to all ages and levels. Visit the MDCVSA website for affiliated tournaments, cups, and events.